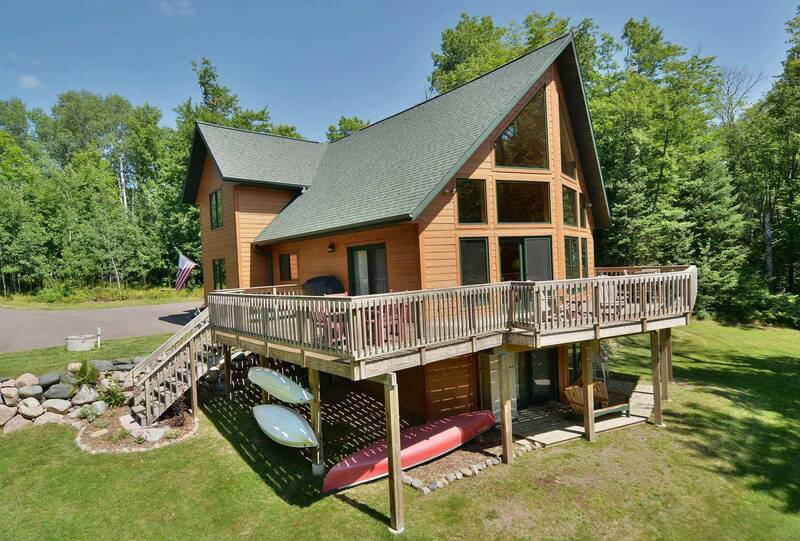 Lodging accommodations in Clam Lake, Wisconsin include affordable, private vacation home rentals and cabins for rent in Northern Wisconsin! 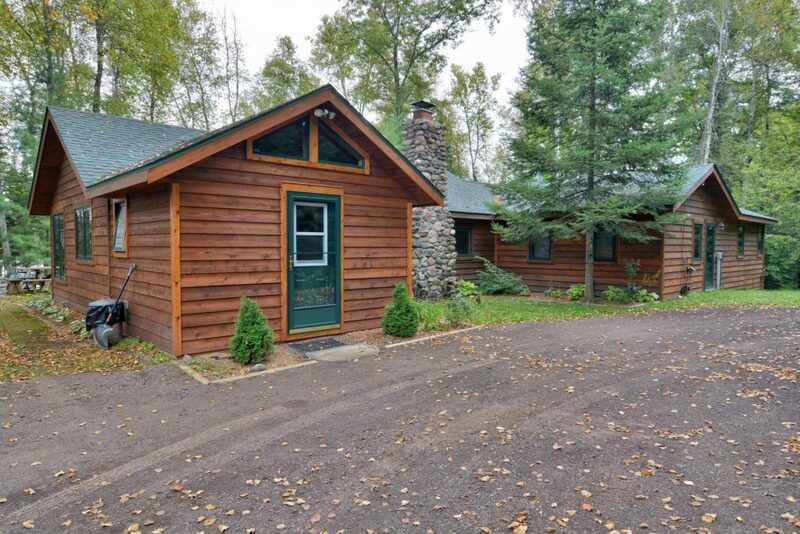 Options for lodging in the area include cozy lake cottages and comfortable waterfront home rentals, secluded log homes set in the privacy & beauty of the Chequamegon-Nicolet National Forest in Wisconsin’s Northwoods, motel rooms and campgrounds. Looking for a Chequamegon National Forest Campground? Click Here for list of the campgrounds in Clam Lake, WI Area. 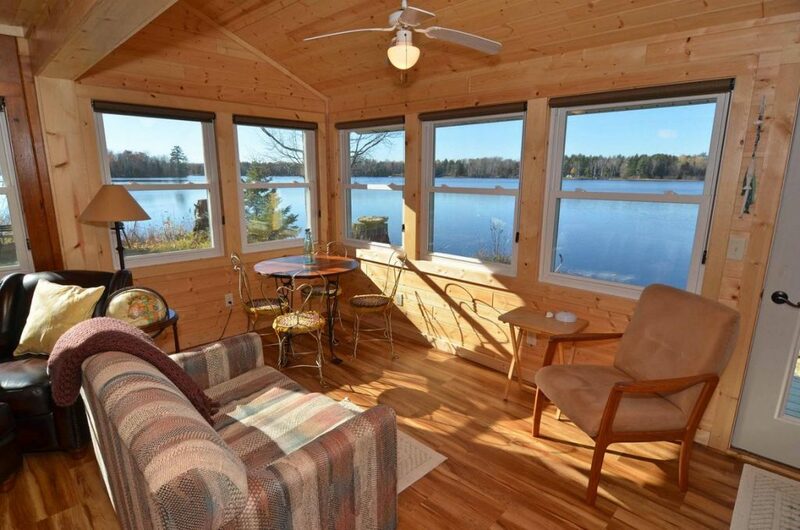 Centrally located in Northern Wisconsin’s vacationland, a stay in Clam Lake offers visitors an opportunity to enjoy a peaceful getaway in the Northwoods! Pursue a multitude of outdoor recreation including snowmobiling, skiing, ATVing, fishing, mountain biking, hiking, snowshoeing, paddling and hunting. Want to explore the wider area? Clam Lake makes a great place to stay and experience the communities, lakes, trails and attractions of Northern Wisconsin. If the cancellation is made at least 45 days prior to the arrival date, we will refund the reservation deposit. If the cancellation is made within 45 days of the arrival date, and we are able to re-rent the property, we will refund the reservation deposit, minus a $100 cancellation fee. If we are unable to re-rent the property within the 45-day period, the entire reservation deposit will be forfeited. For more information please contact info@clamlakewi.com or (715) 563-3615. Please scroll down the page for a list of private vacation home rentals managed by Clam Lake Property Management and other lodging options in the Clam Lake area including cabins and motels. 2 night minimum. Special event weekends 3 night minimum. Description: Otter Lodge is a cozy 3 bedroom, 1 bath Northern Wisconsin vacation rental on the banks of the West Fork of the Chippewa River as it flows between Upper Clam Lake and Lower Clam Lake in Wisconsin’s Northwoods. 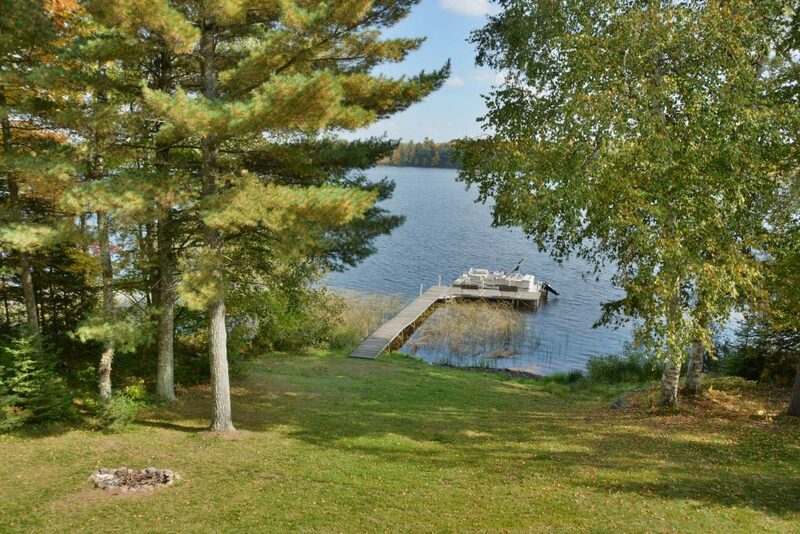 This vacation rental has direct access to both Clam Lake area snowmobile and ATV trail networks. Ride from your front door! 2 night minimum. Special event weekends 3 night minimum. Rates based on # of beds occupied. Description: Recently built 5 bedroom, 3.5 bath luxury vacation home rental in the heart of the Chequamegon National Forest on Upper Clam Lake with modern appliances and beautiful furnishings. 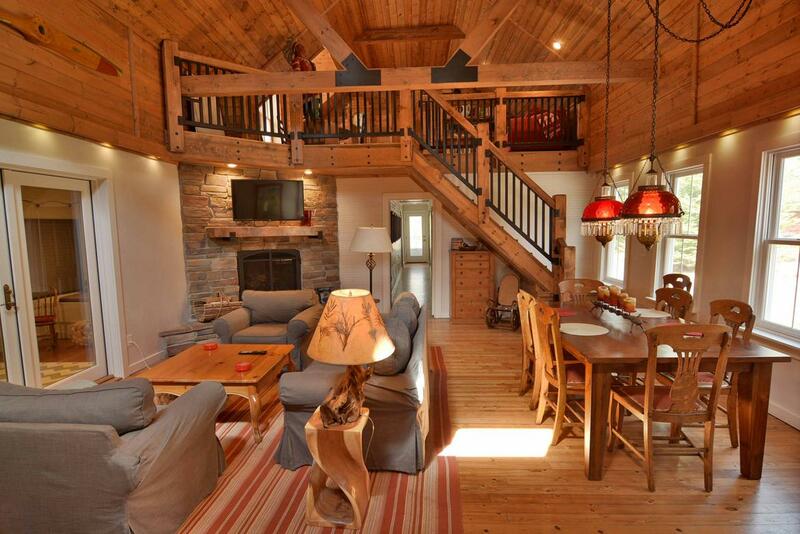 Spacious, waterfront vacation home with direct access to snowmobile and ATV trails. Description: History buffs and vacationers seeking a peaceful getaway alike will be drawn to Birchwood vacation home rental and cabin rental with its 4 bedroom vacation home (Big Red) and 2 bedroom cabin rental (Little Red) on private Dells Lake just a few miles from Clam Lake. 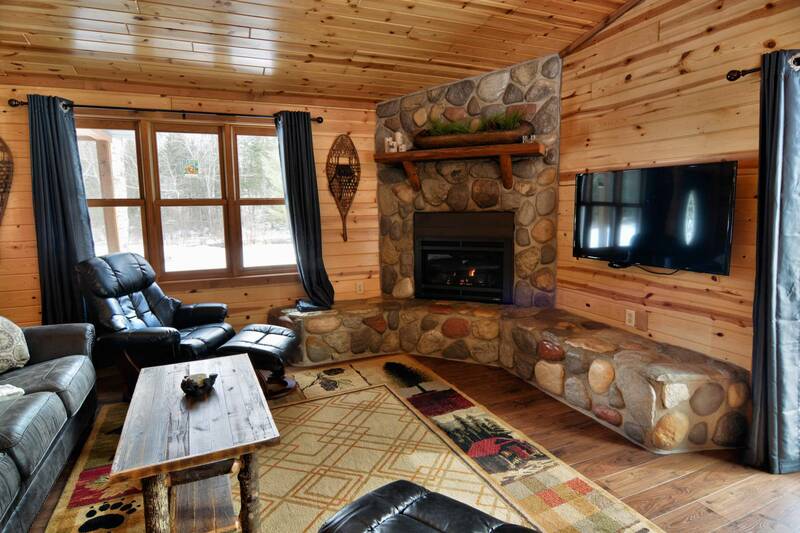 Birchwood and neighboring Cedar Lodge vacation rentals are perfect for small groups and reunions in Northern Wisconsin. 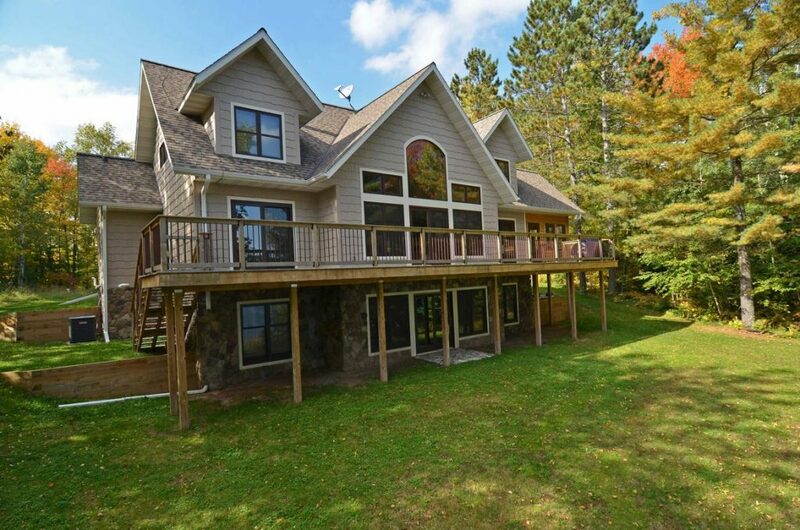 Description: Cedar Lodge is a 3 bedroom Northern Wisconsin vacation home rental set amongst tall pines on the shores of a private, clear water lake in the Chequamegon National Forest. 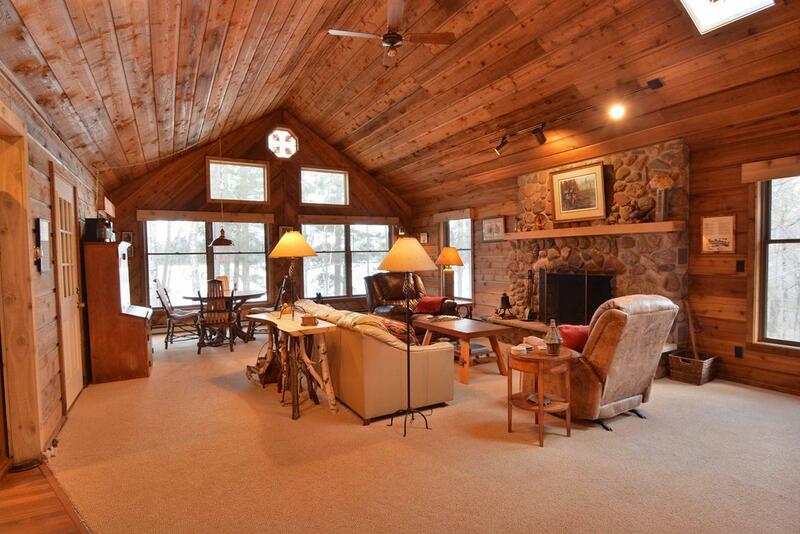 This vacation rental offers quality lodging in a secluded wilderness setting with all the comforts of home. This comfortable vacation home has 3 bedrooms, 2 baths and a loft with futon sofa. 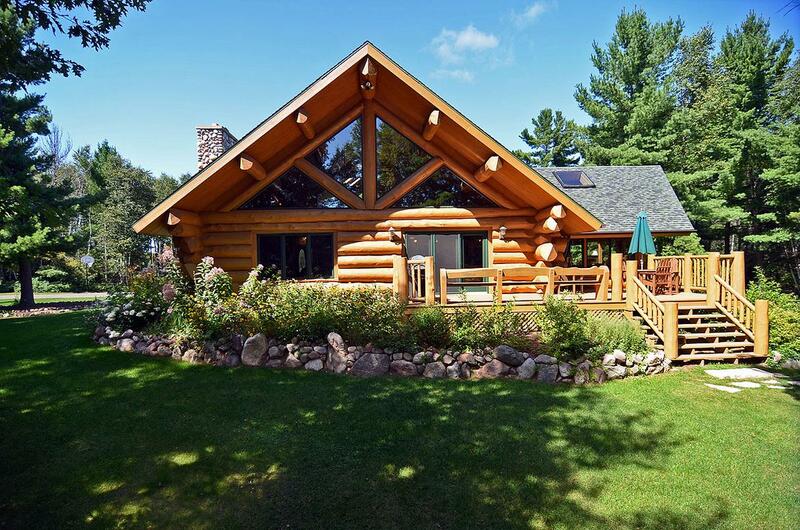 Cedar Lodge and neighboring Birchwood are perfect for small groups, family reunions and group getaways in Northern Wisconsin. Nightly Rates: $110 per night for first 2 people. $25 for each additional person per night. 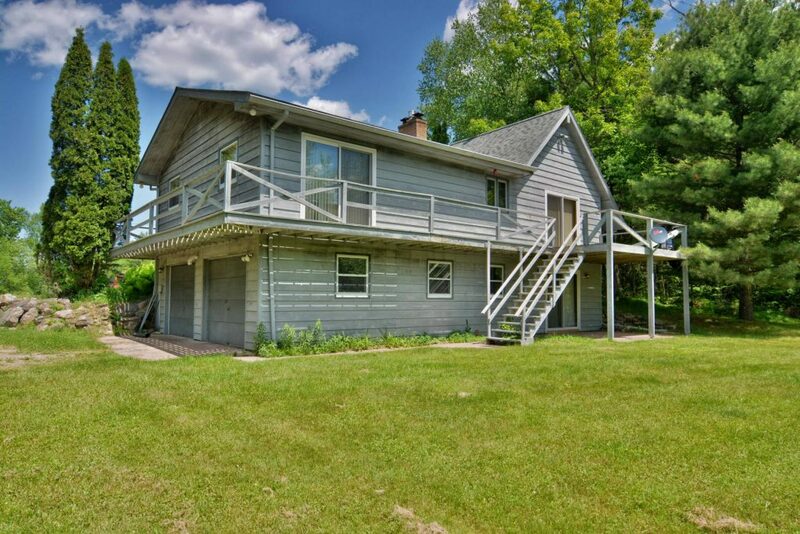 Description: 3 bedroom, 2 bath vacation rental in downtown Clam Lake, WI with direct snowmobile trail access, 7 acres on West Fork of Chippewa River and walking distance of dining, shops and groceries. 3 main floor bedrooms, living/kitchen/dining and walkout lower level to large backyard. Nightly Rates: $135 for first 2 people, $25 each additional person per night. Description: 2 bedroom newly renovated lake home rental on Upper Clam Lake with wraparound deck, dock, 1 bath with shower, AC, dishwasher, cable TV, gas fireplace, new appliances and easy lake access to beautiful Northern Wisconsin waters. Nightly Rates: $175 for first 2 people, $25 each additional person per night. Description: 3 bedroom newly constructed chalet-style lake home rental on Upper Clam Lake with large bedrooms, 3 full baths, AC, dishwasher, cable TVs, phone, walkout lower level and large deck. Direct trail access! Nightly Rates: $135 for first 2 people, $25 for each additional person per night. Description: 2 bedroom renovated vacation home on picturesque Buffalo Lake in Northern Wisconsin with rustic wood floors throughout, spacious living room, fireplace, deck, ceiling fans, satellite TV and Wi-Fi Internet. Description: 4 bedroom (1 king, 3 queens), 3 bath vacation rental on Lower Clam Lake with large, lakeside yard, sandy lakeshore, fireplace, A/C, large flatscreen TV w/Direct TV and DVD player, rowboat, paddleboat and canoes with life jackets provided, sauna, large walkout deck on lakeside with furniture, lower level kitchenette, wet bar, pool table and plenty of parking for trailers. 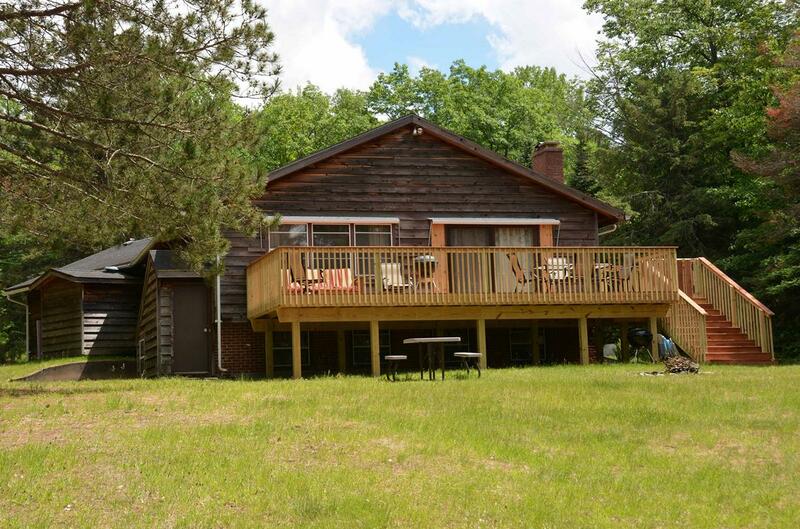 Description: 5 bedroom majestic log home on 16 acres, small lake with professional kitchen, fieldstone fireplace, satellite TV, 3 full baths, game room, and deck.